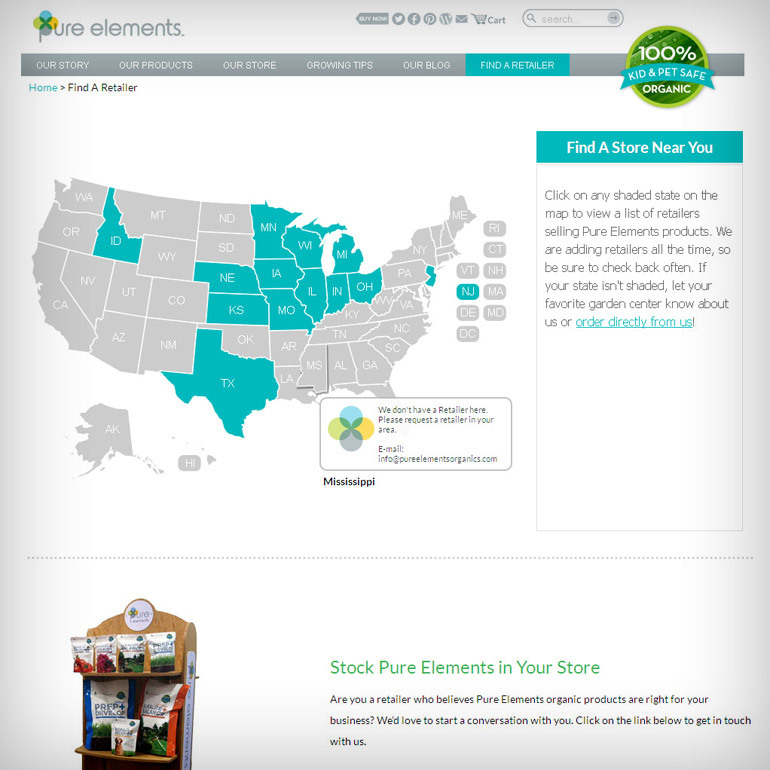 Another example of successful embedding of our products is an interactive map placed on the “Pure Elements organics” corporate web-site. “Pure Elements” is a large company which specializes in production of organic products, fertilizers and flowers. This company has a wide retail network through several USA states so it is vital to have a colorful interactive map on it’s website. – Geographical content is provided by separate contact information blocks with any necessary information and by simple pop-up window in the states where there are no company retailers. USA HTML5 locator map is not a separate plugin as in the case of USA HTML5 map for WordPress but it doesn’t mean that developer have some extra difficulties during embedding and configuration process. As any our product this map is visible on the modern mobile devices working with iOs and Android OS.